6 (16) Sant. 10 (20) Sant. 15 (25) Sant. 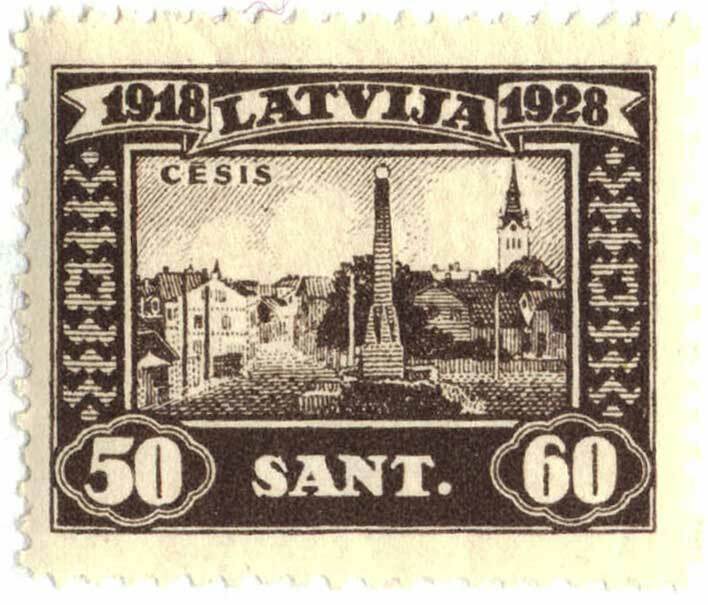 On November 18th, 1928 the tenth anniversary of independence was celebrated, and it was decided to erect a liberty memorial in Riga. 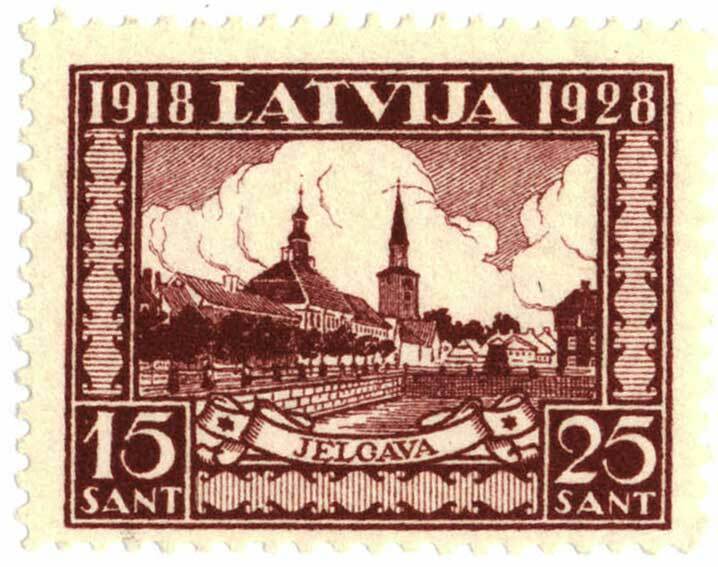 Money was donated for the monument and a set of six stamps was issued, each with a 10 Santimi surcharge for the benefit of the memorial. 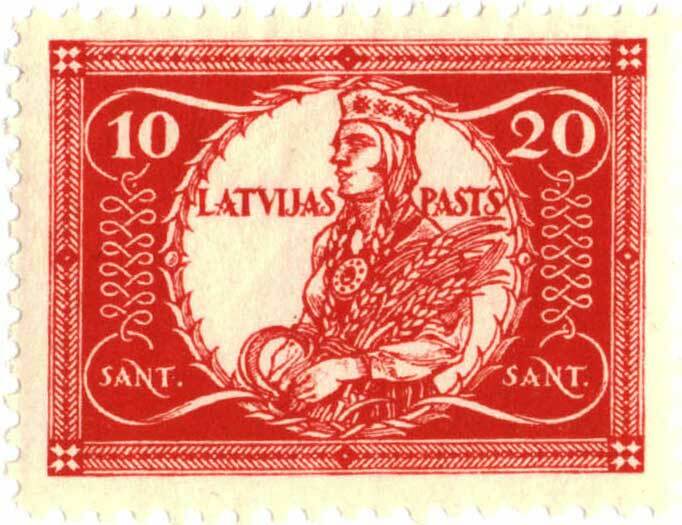 The monument was built in the center of Riga, and has now become a symbol for national awakening where flowers are laid and demonstrations for freedom take place around it. 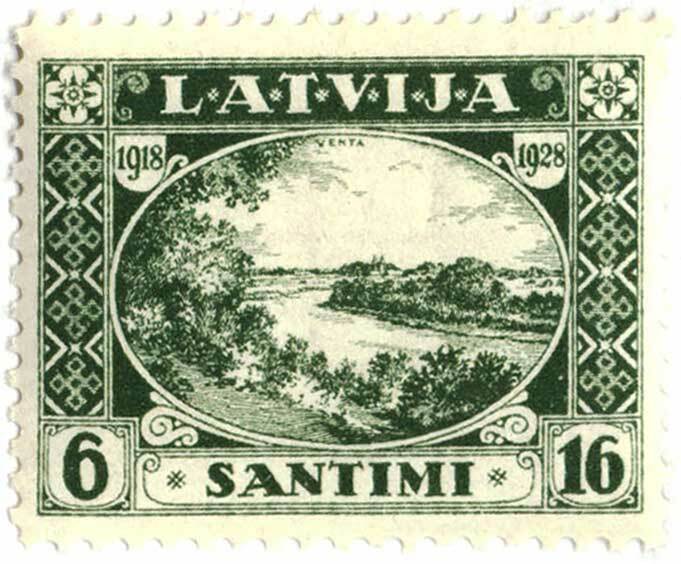 The 6 (16) has a view at the Venta river in Kurzeme which was the most western line the Soviet Latvian forces had reached in 1919. From here onward the counter attack of the National Latvian forces was started, which ended with the liberation of Latvia. The 30 (40) Sant. has the National Theater in Riga. 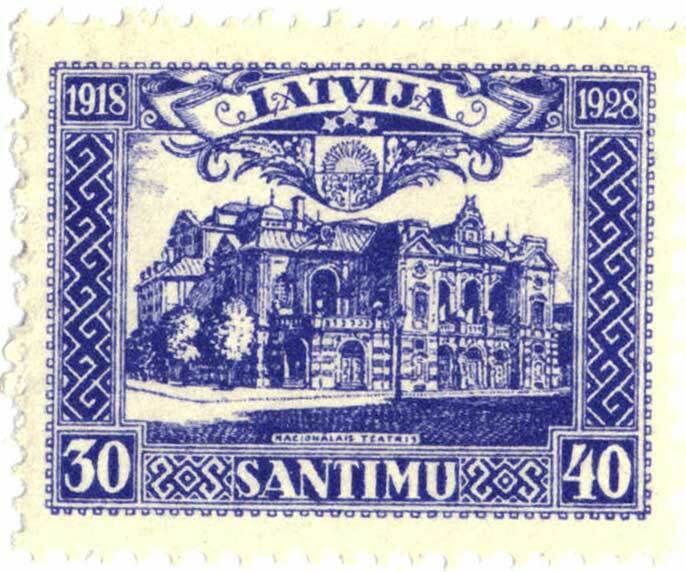 In this building the First National Constituent Assembly declared the independence of the Republic of Latvia on November 1918. 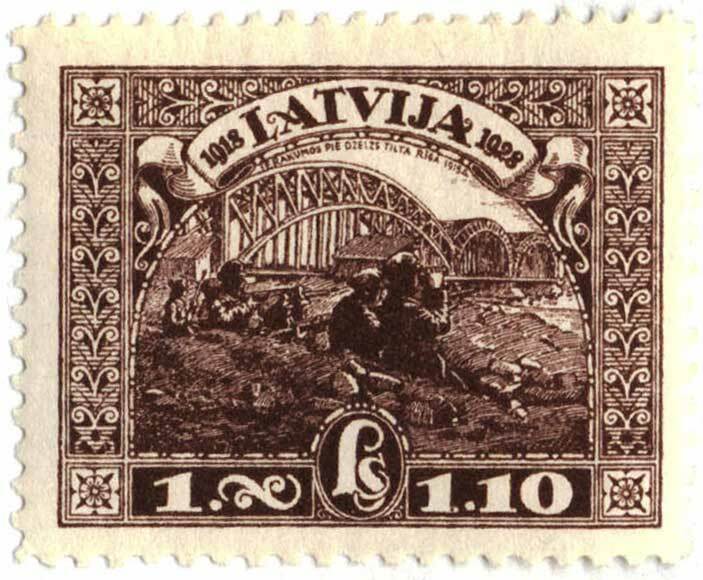 The 1 (1.10) Lats portrays Latvian troops defending Riga against Bermont forces in 1919.